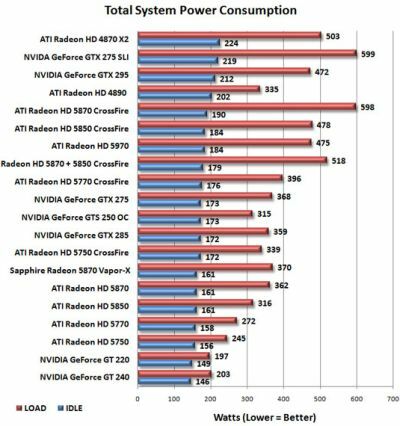 Legit Reviews has published a test of EVGA’s GeForce GT 240 SuperClocked. This card is a GeForce GT 240 with an overclocked GDDR5 memory (1800MHz instead of 1700Mhz). Like EVGA’s GT 220, the GT 240 is equiped with a noisy cooler that requires a bios update to become quiet for all non 3D intensive applications (seems the cards are no tested before packaging…). – GPU temperature at idle: 30°C. 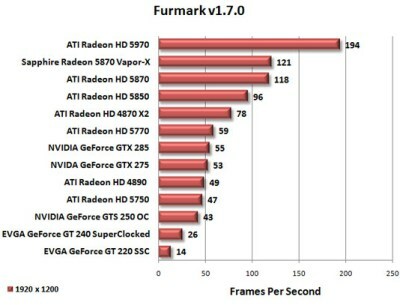 – GPU temperature at 100% load (FurMark): 55°C. The EVGA GeForce GT 240 Superclocked graphics card uses less power at idle than the EVGA GeForce GT 220 SSC video card! Why is this? 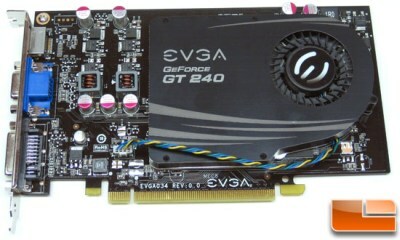 It is because the EVGA GeForce GT 240 Superclocked graphics card uses 512MB of energy efficient GDDR5 memory.